In 2018, nPerf users has made 1.2 million connection tests with nPerf mobile app (iOS, Android). For the three consecutive years, True Move H is at the first place in our ranking. 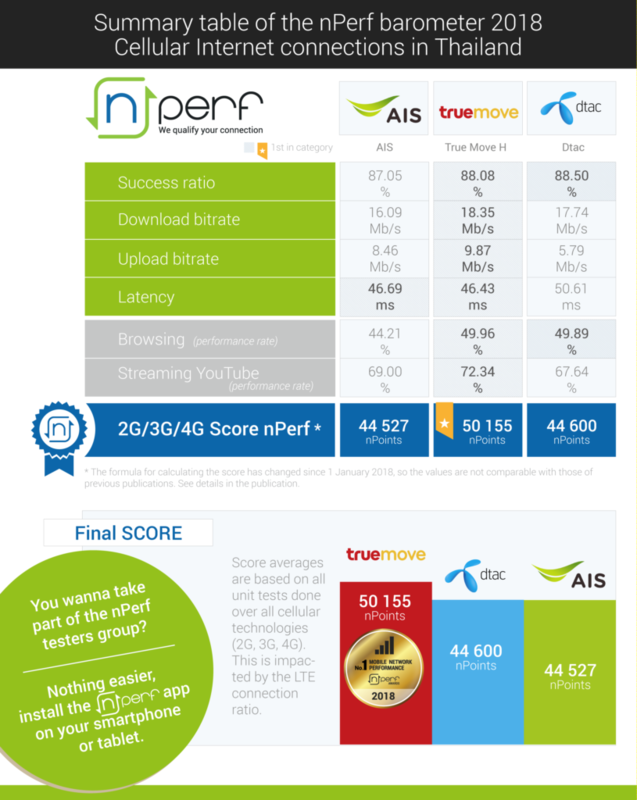 With a score of 50,155 nPoints, True Move stays ahead dtac, number two, and AIS, number 3. AIS is at the third position in our ranking. During the second half of 2018, AIS faced serious troubles on its network. 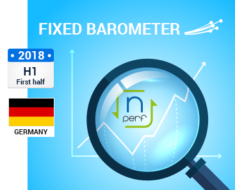 When we look at the ISP success ratio we noticed that AIS users registered a lot of failed tests which impacted AIS results. Fortunately, thing seems to get better since end of 2018. However, the mobile carrier makes the difference on 4G and LTE-Advanced networks. It is the operator who has the best connection rate in 4G with 88,59 %, which it means that AIS customer are more often connected in 4G than True Move H and AIS customers. Furthermore, regarding LTE-Advanced connection rate, AIS continues to widen the gap with a 45,01% ratio. True Move H is close with 41,30% but dtac is far behind with only 27,59%. Last in 2017, dtac really gets back in the race. The mobile carrier has nearly doubled its download speed, its performance increased by 88% from 9,74 Mb/s to 17,74 Mb/s. These results show the efforts made by dtac on its network especially in LTE-advanced.If dtac keeps on improving its results in this way, it might be very dangerous for True Move H.